Tripura Public Service Commission has recently announced that they are going to recruit he large number of candidates to fill up various vacant posts of Tripura Civil Service Grade-II and Tripura Police Service Grade- II / Group-A Gazetted under GA (P & T) Department all these posts will be filled under the Government of Tripura. The written examination will be held on 30 November 2014. A large number of candidates applied for this examination. Now all the candidate are waiting for their TPSC TCS TPS Admit Card 2014 so that they can know their examination centers. Candidates can download their call letter at the official website of this commission. Tripura Public Service commission was established in the year 1972 on October 30th by the Central Government of India to look afte the all the requirements of the Tripura state. Public service Commission is not only located at Tripura it is established in each and every state if India. This Public service commission duty is to select the eligible candidates in the government bodies and full filling the vacancy post in the government by recruiting the eligible candidates to the Government. Tripura Public Service Commission is came into existence to composed Police Service Exam and Civil Services all over the state of Tripura. The Preliminary Examination is meant to serve as a screening test only for the purpose of selection of candidates for the Main Examination. TPSC received the application form through offline mode up to 16 June 2014 about three months to go, till now the TPSC has not released any kind of call letter at its official website. All the candidates are looking for their TPSC TCS TPS Call Letter 2014 so that they can know their examination centers. The Preliminary Examination contain only 1 paper that is “General Studies” which is further divided into 9 sections. MCQ type question will be asked in paper. Total paper will be of 2oo marks. Time duration will be of 02:30 hour. Before to attend the Exam all candidates must have their Exam Admit Card. Candidates can easily get their TPSC TCS TPS Admit Card 2014 by following below mentioned steps. 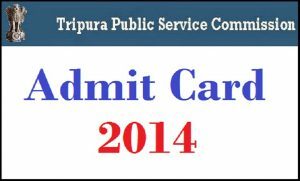 You will see PSC TCS TPS admit card 2014 link, click over it. Now fill up all required detail like roll no, registration number and click on submit. Print out of admit card after download. 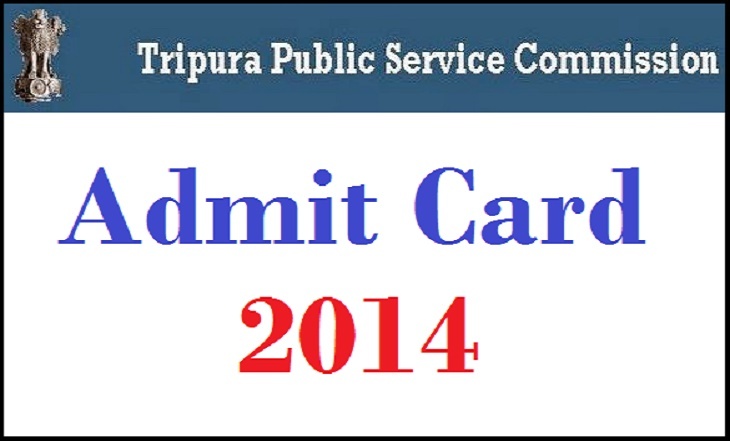 TPSC TCS TPS admit card 2014 will be mandatory for all candidates who appear in the written exam. Candidates need to produce a valid ID proof while appearing for the examination. Candidates without admit card will not be allowed to enter the exam hall. Candidates should check the details given in the admit card are printed without error.